Home Bankruptcy BlogBankruptcy Q&A Gifts During Bankruptcy. How Are They Treated? 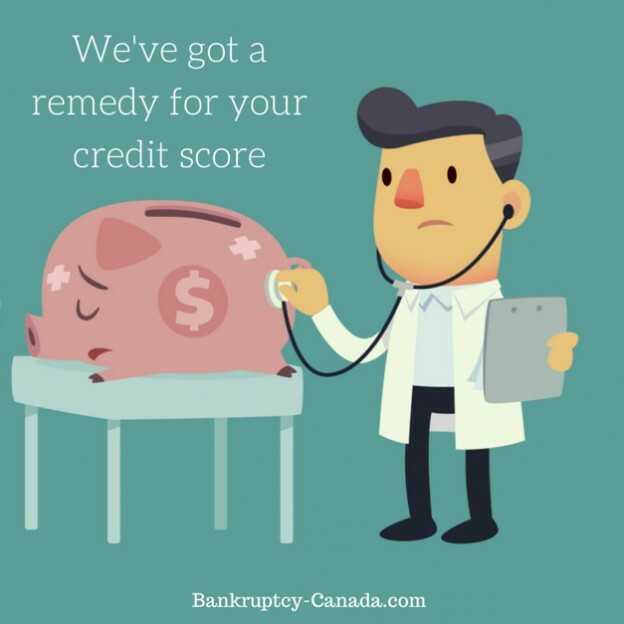 Part of the process of filing bankruptcy in Canada requires that the licensed insolvency trustee of the bankruptcy estate seize any non-exempt assets, sell them, and distribute those proceeds fairly to the creditors. This would include any asset owned as of the date of bankruptcy and any assets received after the date of filing for bankruptcy. This has implications if you receive a large gift or windfall that has monetary value. You must tell your trustee about any windfalls you receive while you are in bankruptcy, this would include gifts, lottery winnings and inheritance. 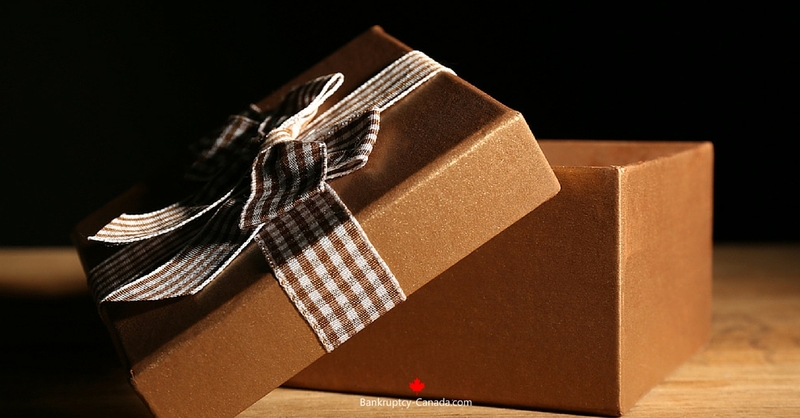 Gifts: There is no set limit in terms of what you would have to report to your trustee. Technically, any gifts you have received can be seized by the trustee. From a practical point of view, the trustee is not going to seize the five dollars your grandmother sent you for your birthday, however, if you were given thousands of dollars that is another matter. The same would be true if you receive a physical gift. If you are given a modest gift of clothing or an appliance, the trustee will likely not make an issue of it. You are allowed a bankruptcy exemption for clothing and household effects. If you are given a gift that is in excess of your personal bankruptcy exemption, you may have to surrender that item to the Trustee. An example would be receiving a valuable antique. Lottery Winnings: If you win money in a lottery, the money is property of the bankruptcy estate. It doesn’t matter if you don’t collect your winnings until after you are discharged. If you were entitled to the money when you were in bankruptcy it is property of the bankruptcy. You don’t have to worry if you win a big jackpot. The trustee will take enough money to pay out your creditors in full, with interest and cost, and you will still be entitled to receive the balance left over. You won’t lost the entire jackpot (unless of course you had that much in debt). Inheritance: If you find out that you are entitled to an inheritance while you are in bankruptcy, you must let your trustee know. Your trustee will then contact the executor of the estate and provide him or her with the necessary paper work. When the executor distributes the money, your proceeds will be sent to the licensed insolvency trustee. As with lottery winnings, if there is enough money available to pay the debts in full, with costs and interest, the balance will be returned to you. If you are in bankruptcy and expecting a gift, talk to your trustee and explain the situation. If you have not yet filed, and expect to come into an inheritance or other gift, again discuss this with the trustee prior to filing. 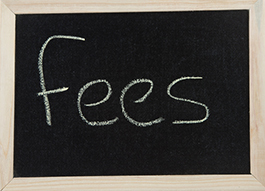 They may be able to present you with options like a consumer proposal that will fix the cost of filing up front. Rebecca Martyn is a Licensed Insolvency Trustee in Canada. She works at Hoyes, Michalos & Associates Inc.
4 More Paydays until Christmas. How Much Will You Be Left With? I suggest that you immediately contact a Licensed Insolvency Trustee for a no charge initial consultation. There are many options, including a consumer proposal and personal bankruptcy, but you will need to review the options that apply to your specific situation to make an informed decision. If you declare bankruptcy four years after being a student will the remainder of the student loan be discharged after you have been bankrupt for three years? No. A student loan is only automatically discharged if, when you go bankrupt, you have already ceased to be a student for over seven years. The amount of time you are bankrupt does not impact that calculation. Can a rdsp account be seized during a bankruptcy? Hi Brad. That’s a tricky question. Courts in BC have ruled that an RDSP cannot be seized, but that ruling does not necessarily apply in all cases in Canada. I suggest you contact a local trustee to review your specific situation. Here’s an article on RDSPs and bankruptcy in Canada. I went out bankruptcy in November and I won the lottery ticket for 5500 what is the species from my trusty watch and I do will she find out by herself or I have to tell her ?? A family member of mine filed for bankruptcy and it was approved last year. Recently their car has died and they have no transportation. If another family member is willing to purchase a used vehicle in full for the family member in bankruptcy what are the rules for this to occur. IE: Is their a max price that the car can be purchased for them. I will be a gift to help them out. Thanks for any info on this. Province that bankruptcy took place is NFLD. The quick answer is for the family member to keep the car in their own name until the bankruptcy is over. Then there is no issue. If for insurance purposes it needs to be registered in the bankrupt’s name, then I suggest the family member “sell” the car to the bankrupt for its fair price, that includes writing out a bill of sale and terms of repayment – it can be $20 a month. As long as the bankrupt makes the payments. If you just give someone in bankruptcy a car it may be treated as a “windfall” (free money) and the trustee may require the bankrupt to pay an amount equal to the value of the car into the bankruptcy for the benefit of the bankrupt’s creditors. I have had a bad couple of years dealing with mental issues. I am currently in bankruptcy and have new tax debt. I do not know what to do anymore. I should be out of bankruptcy this year but am behind on my duties and trying to get caught up. Completely at a loss. Hi Steve. Your best option is to book a meeting with your trustee and discuss what exactly you need to do to complete your bankruptcy; your trustee can advise you on how to make a plan to get it completed, and they can give you advice on dealing with any new tax debts.